Congratulations! 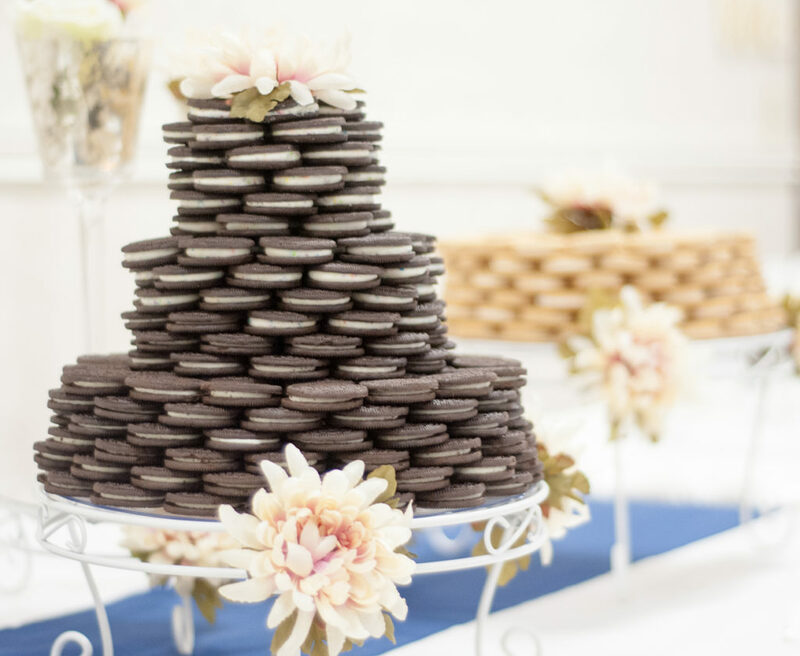 Are you planning a fall wedding?! 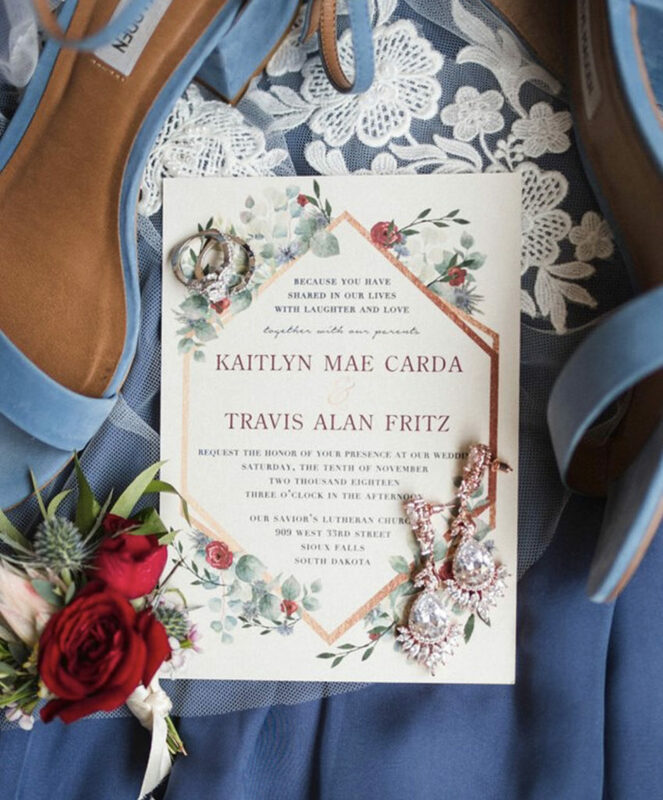 If there’s one wedding trend that’s surprised us the most about our South Dakota weddings, it’s that couples are opting to get married in the fall months instead of the hot summer months. (Maybe it shouldn’t have been so surprising!) 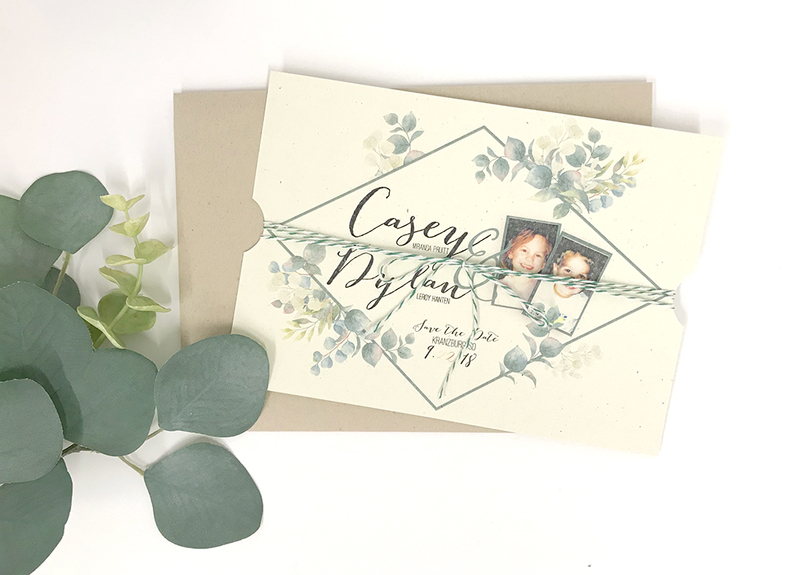 September and October are now the go-to wedding months for more comfortable weather, rich colors, and lots of beautiful outdoor photo ops with changing leaves as your background. 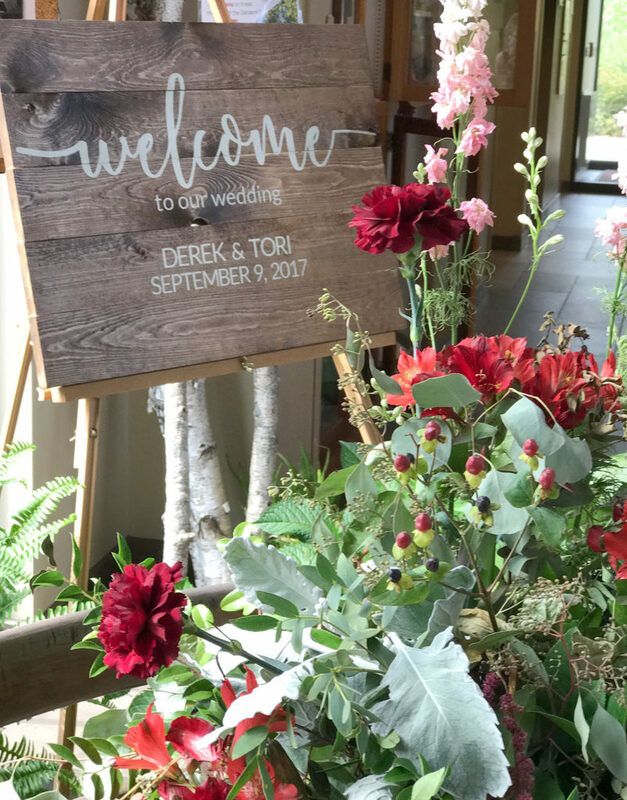 Here are a few helpful tips and suggestions we’ve learned over the years to ensure your fall wedding is truly one you have envisioned. One of our favorite ways to transform a room is with fabric and linens. We’re talking linens on tables, bold napkin colors, chair covers and sashes, and anything else you want to ‘pop’ in your wedding reception. 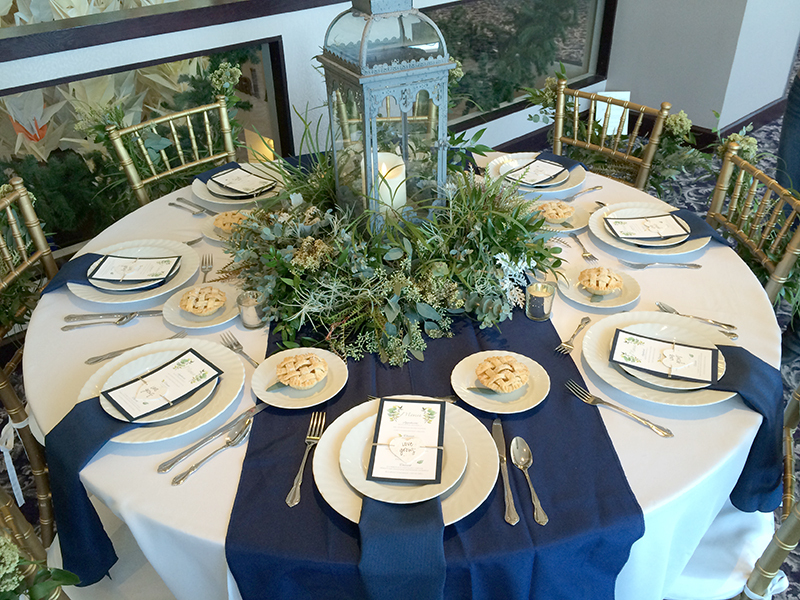 Maybe your guest table linens are one color and your head table linens are a different, bolder color. 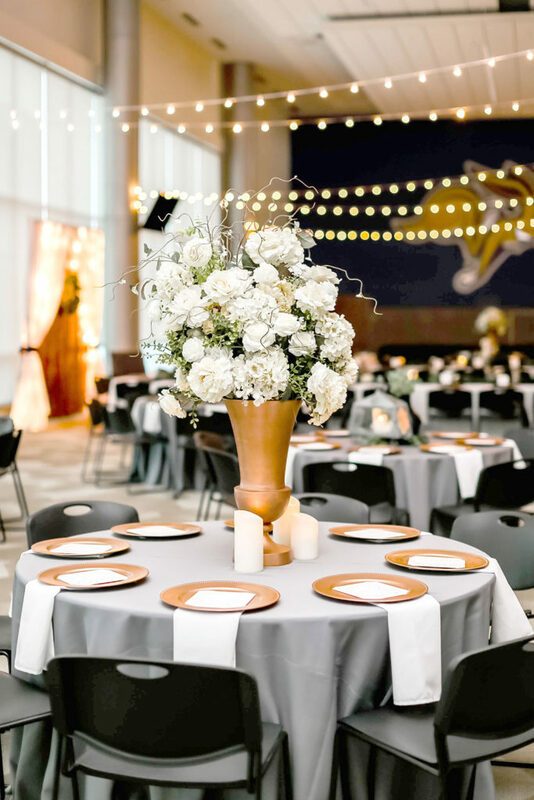 The most common tables to add a pop of color with specialty linens are your guest book table, your unity ceremony table, your cake/dessert table, and your head table. Perhaps you choose a patterned or textured linen for those tables you want to be ‘show-stopping’ elements of your wedding. One company we use to use achieve the look of fun, rented linens is with BBJ Linen. If you want to stop into Hitch Studio, we can show you swatch books, patterns online and more. We’ll make sure your wedding colors coordinate perfectly with your selected venue. For a quick and easy addition to your fall theme, consider incorporating pumpkins, wood, and rustic elements into your wedding to really maximize the fall season. 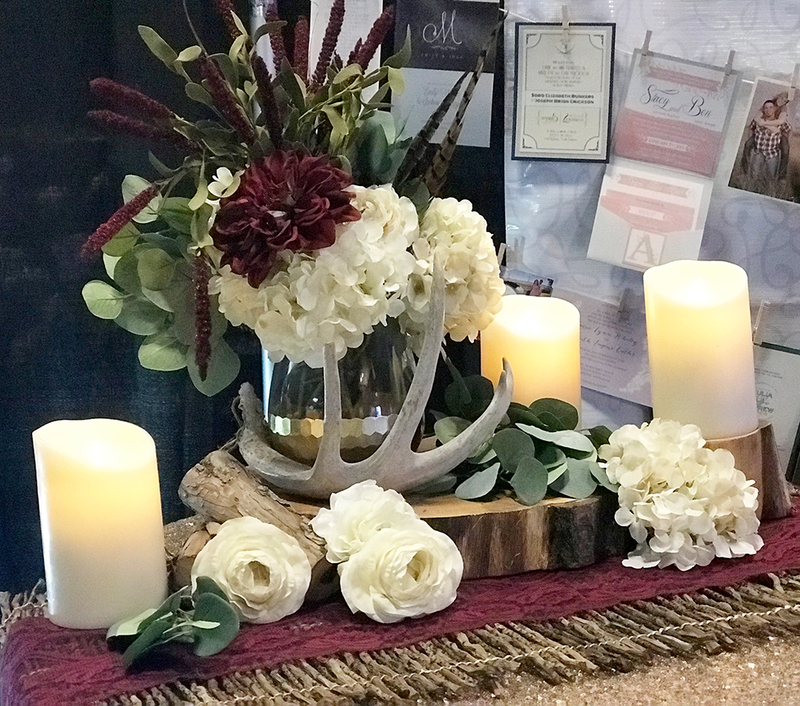 Here are more gorgeous rustic tablescape ideas for your fall wedding.We love using tall centerpieces to help fill a really large, open tent, barn, or reception space with high ceilings. We all know South Dakota weather. 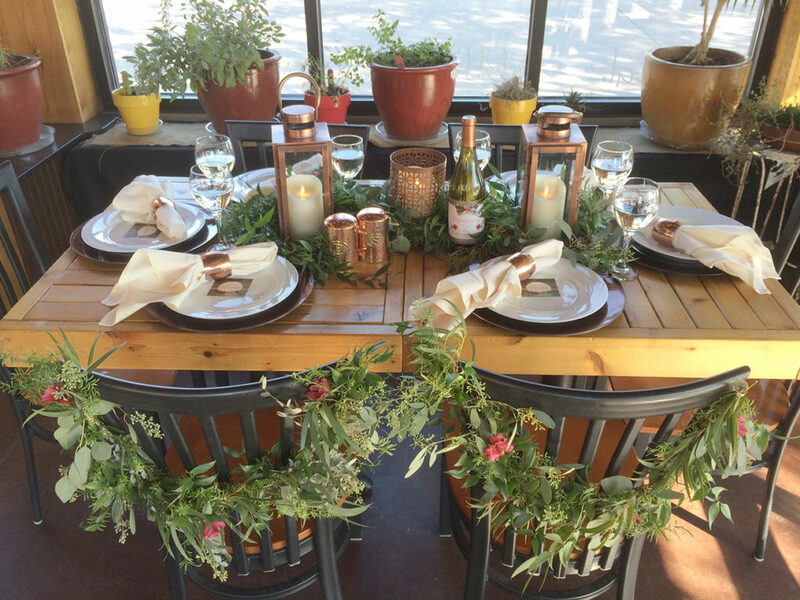 An outdoor wedding ceremony and reception can be so beautiful! If you’re not fond of having your wedding at the mercy of possible wind, rain, or chilly temps at an outdoor wedding, plan yours indoors. 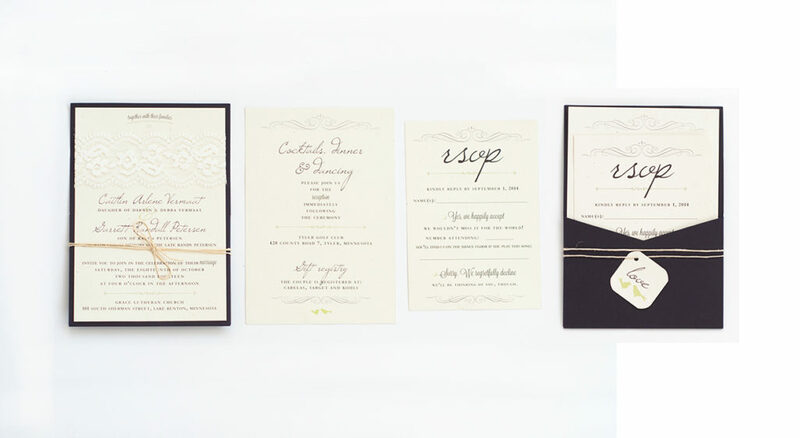 Whatever you choose, Hitch Studio can help you get all the details in place. We’ve even transitioned an outdoor wedding INDOORS because of rain that day. That’s what you hire us for. 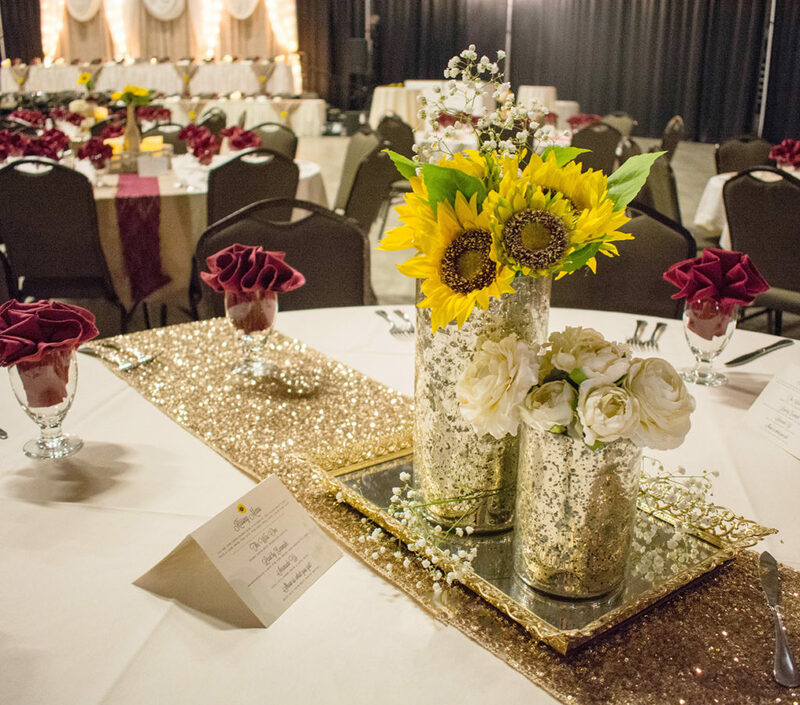 We’re the wedding planners that do all the behind-the-scenes work so your fall wedding is seamless and perfect. 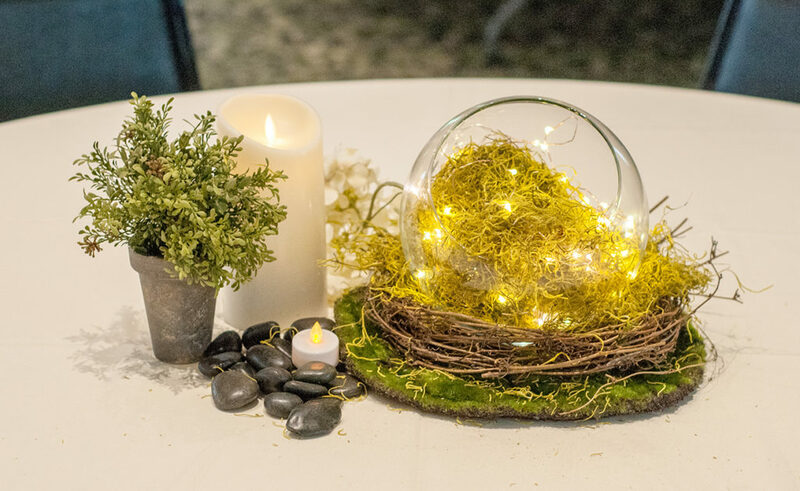 Indoor or outdoors — it’s one of the most important decisions you’ll need to make as a couple when planning your wedding. Having your fall wedding in a barn? How perfect! 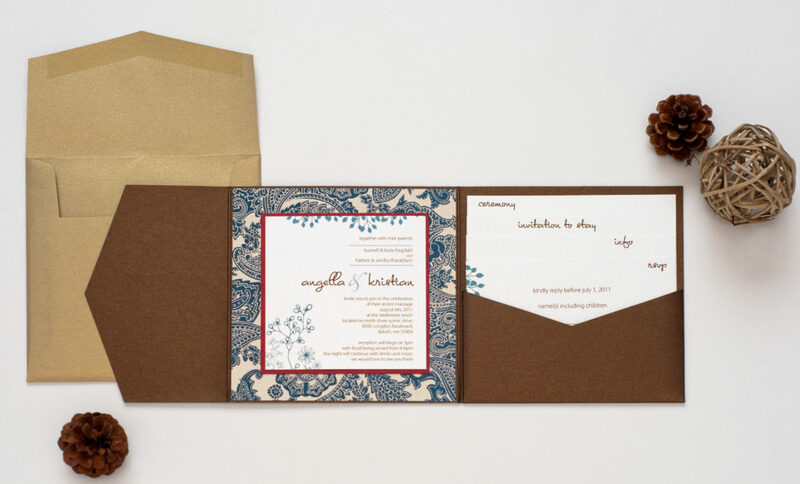 Hitch Studio can help with all those details too. Is the barn air-conditioned or heated? Who will keep the cake from melting on a hot day? Who will make sure there is bug spray and sunscreen for guests? Who will hang those bistro lights for you to really make your barn romantic? And most importantly, who will get more ice for the beer if it melts? Haha – just kidding. (But not really – that’s a big deal!) The answer is Hitch Studio. Our wedding coordinators take care of all that. 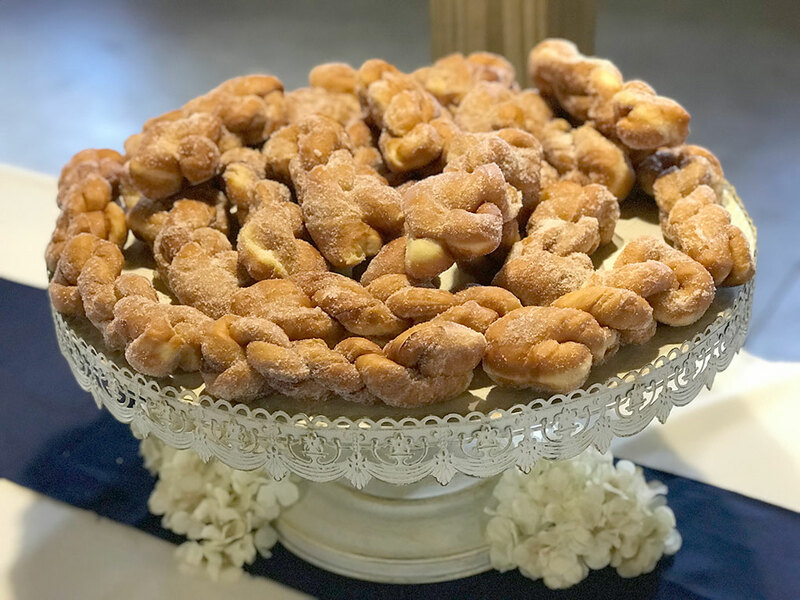 If you’re having a caterer, we can clear the tables, empty garbages, cut and serve the cake, plan for a generator/electricity needs, outdoor restroom trailers, outdoor parking, and more. We keep your reception running smoothly so you and your family don’t have to worry about a thing! 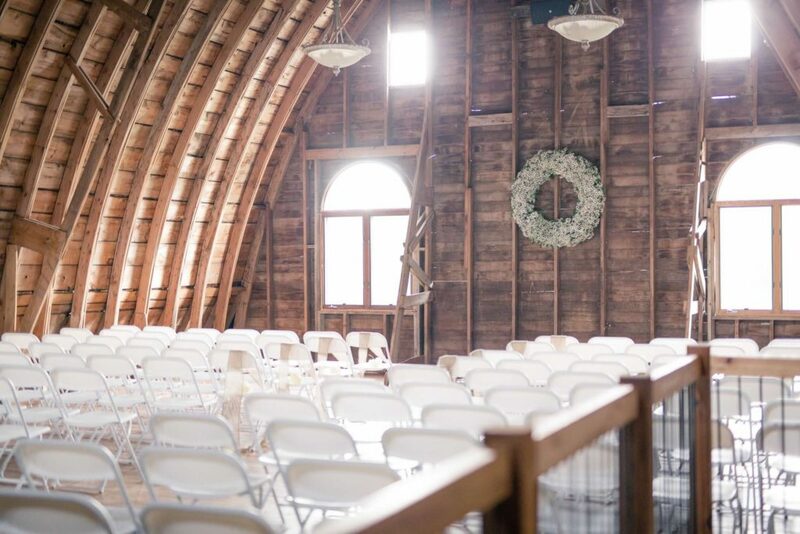 We even wrote a blog about Things To Remember When Planning Your Barn Wedding. Whether you decide to have your wedding inside or outside, don’t forget to invest time crafting the perfect drink and food menu. 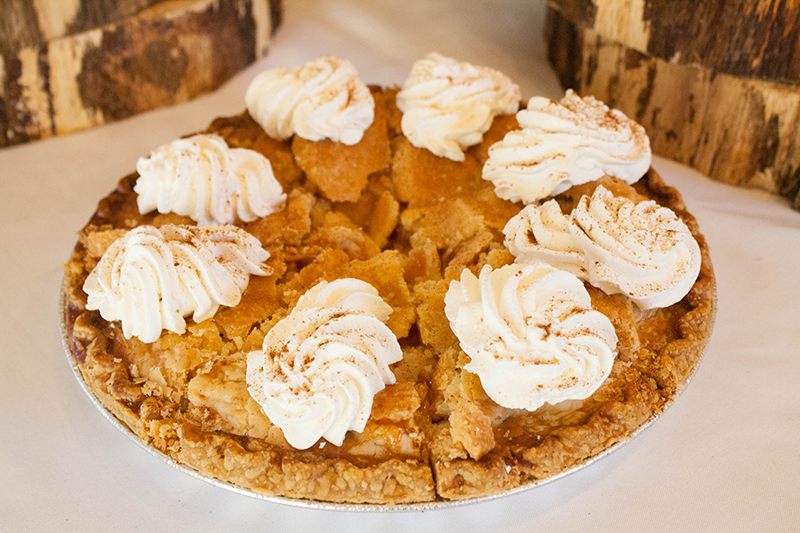 Have some fun with s’mores- and caramel apple-flavored cupcakes, cheesecakes or favors. 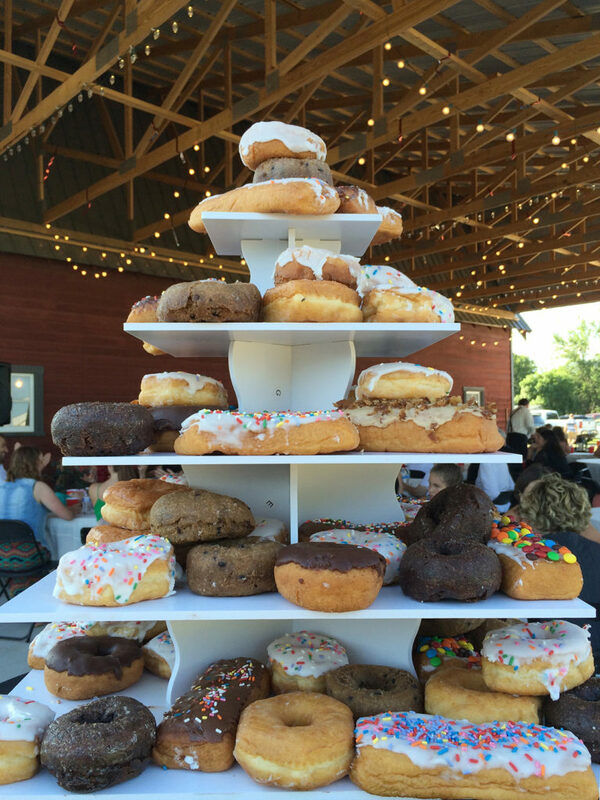 What about mini pies or donuts like these couples?! We’ve also served handmade fudge from the local candy shop in town, Chocolatte. 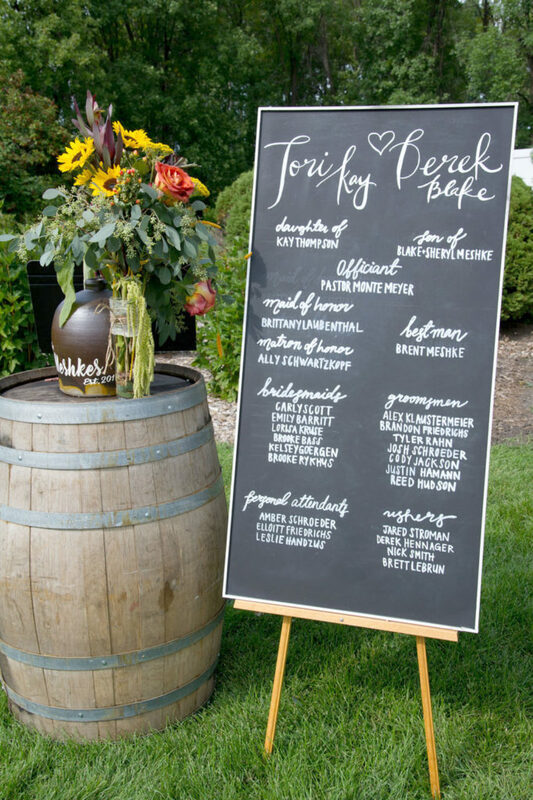 Your drink options can often take the wedding experience for your guests to the next level. Serve a hot chocolate bar, apple cider, or fall liquor drinks. Brookings is famous for its Kool Beans Coffee. Kurt even comes to weddings with his specialty coffee beans and can pour your guests a cup of memorable details. It takes some effort, but Hitch has also gotten in kegs of your favorite craft beer to serve guests as a personal touch. While there are a million details to consider when wedding planning, don’t forget to enjoy every moment leading up to your big day! Need help with those million details? 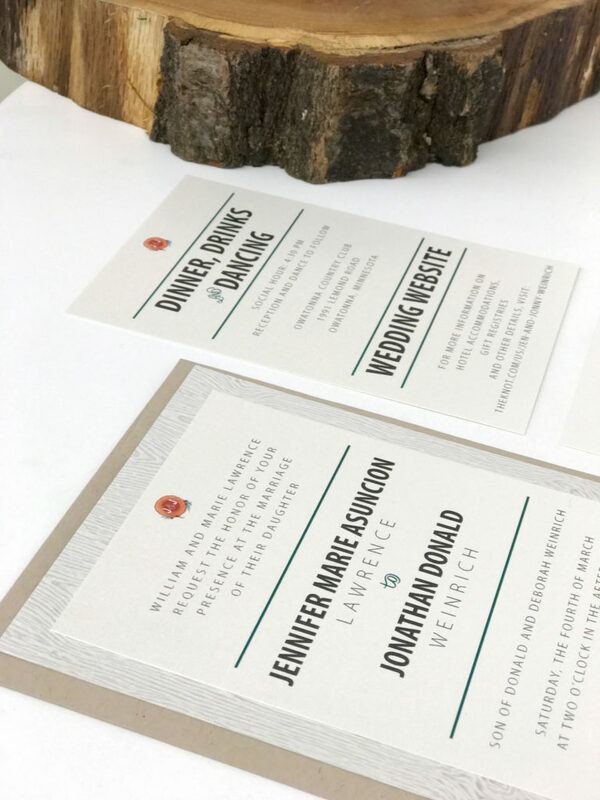 We sell the Wedding Day Designer to help with your timeline, planning, and check-boxes for everything. Click here to purchase one today from Hitch Studio. 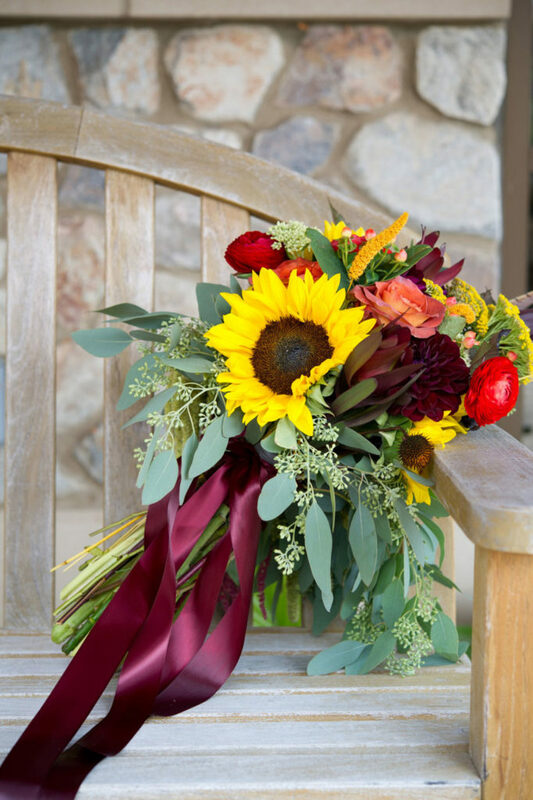 We wish you the best as you plan your gorgeous fall wedding! Please let us know if we can help with anything you may need to keep your wedding day stress-free and full of joy.